The U.S. Court of Appeals, Tenth Circuit, recently held that a bankruptcy debtor’s chapter 13 plan is not required to take Social Security benefits into account in calculating monthly”projected disposable income” under section 1325(b)(1). The court also held that it was not bad faith to exclude such income from the calculation of monthly payment amountsunder a chapter 13 plan. The National Association of Consumer Bankruptcy Attorneys filed an amicus brief with the court in the case. In re Cranmer, No. 12-4002 (10th Cir. Oct. 24, 2012), involved a chapter 13debtor who excluded his $1,940.00 monthly social security benefits from total monthly disposable income, as allowed by section 101(10A), from his means test Form B22C. He also excluded a portion of this $1,940.00 from his Schedule I and J, which is used to calculate how much a debtor can afford to contribute to his monthly chapter 13 plan payment. By doing so, the debtor proposed to keep a portion of the $1,940.00 even though his monthly budget showed he could afford to pay that portion into his chapter 13 plan for distribution to creditors. The chapter 13 trustee objected based upon section 1325(b)(1)’s projected monthly income requirement. The bankruptcy court agreed with the trustee that social security should be included in projected disposable income. The bankruptcy courtalso held that it was bad faith for the debtor to attempt to exclude it. On appeal, the district court reversed, and the trustee appealed. The Tenth Circuit Court of Appeals upheld the district court. It noted that section 1325(b)(2) defines “projected disposable income” as “current monthly income” minus amounts needed to be expended for the debtor’s support. However, section 101(10A) defines “current monthly income” as income the debtor receives from all sources, excluding social security income as mandated by section 101(10B). The appeals court held that the plain language of the bankruptcy code excluded social security from the definition of disposable income to be paid into a chapter 13 plan. The appeals courtalso stated that the U.S. Supreme Court’s ruling in Hamilton v. Lanning, 130 S.Ct. 2464 (2010), supported this conclusion. 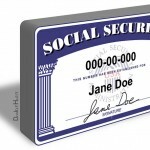 The debtor’s receipt of monthy social security benefits was fully known at the time of the filing of the bankruptcy. Rather than constituting a change in circumstances, the social security was simply excluded from projected disposable income. Furthermore, a debtor’s proposal to exclude exempt funds from disposable monthly income could not be grounds for a finding of bad faith.